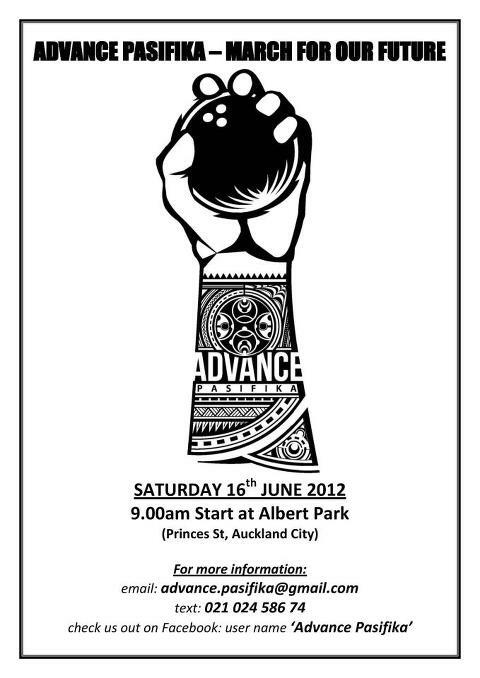 Advance Pasifika is a deliberate movement of Pasifika communities in Auckland signifying our collective voice. We know through painful experience that a fair and equal NZ society is never voluntarily granted. It must be demanded. Today we demand equity. Our future is at risk. The education system is failing our young people; our health is deteriorating; our people are being locked out of affordable housing; mothers and fathers are dying alone; our incomes are disproportionately lower; our communities are being fragmented and our ideas ignored. It is time for change. 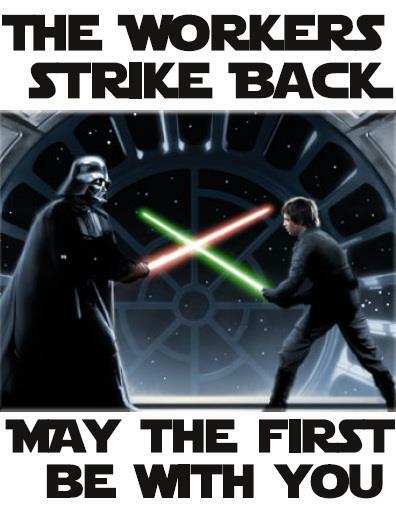 It is time for action. We call on local and national leaders to take heed of our significant contribution to this city and nation in years past, today and in years to come. This too, is our city. We march together, united and in one accord. Empowered by our cultural heritage, we march for all the ages. We march for our future. 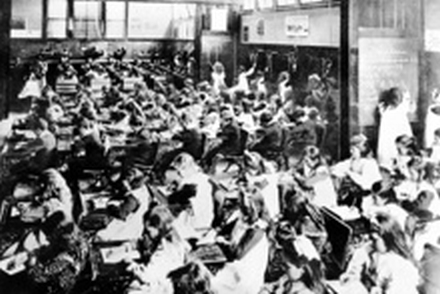 Crowded classrooms where the teacher barely moved from the front of the class were once the norm in New Zealand schools. Expanding class sizes will belittle the efforts of our teachers, writes John Minto, national chairman of the Quality Public Education Coalition. Education Minister Hekia Parata’s comment that she was once in a class of 43 students will resonate with older New Zealanders. Large classes were the norm in the 1950s and 60s and I have a class photo showing 57 alongside me at primary school in South Dunedin. Today class sizes are closer to 30 than 50 and many will think the Minister’s proposals to use an increase in class size as a way to fund improving the quality of teachers is no bad thing. But classrooms have changed dramatically in the intervening generations. In the past most teaching was done as “chalk and talk” from the front of the room and kids assessed with exams twice a year. But teachers today are expected to see their students as individuals with individual needs, learning styles and challenges and adapt their teaching accordingly. They are expected to be able to give good and frequent individual feedback on progress and feed forward what students need to be working on to develop their learning. Assessment has grown like topsy into a much larger burden and with national standards now infecting primary schools this will increase again. Relating to students as individuals is good education practice. This is especially so in schools in low-income areas where all the research and my many years of personal experience show the relationship between teacher and student is critical to good learning. Changes in the teaching of children with special education needs has also impacted significantly on classrooms since 1989 when the Education Act gave children with special needs the right to enroll at their local school. This was universally welcomed but like so many good policies was never resourced for success. There is no better illustration of this than the recent announcement that the Ministry of Education wants to close four residential schools for intellectually disabled children and those with serious behavioural difficulties and require them to access their education in mainstream schools. This mirrors the 1998 ministry decision to withdraw direct funding from the country’s special needs units attached to mainstream schools and require the children to enter mainstream classrooms unless their school or local cluster of schools could fund a unit themselves. Many schools and parents put up valiant struggles but the massive financial leverage of the ministry means the small number of remaining units are facing forced closure at the end of this year. These changes are fraught for teachers because the resources and the smaller class sizes are just not there for this to be a successful strategy in many cases. One of my most dispiriting experiences in education was some years back when a meeting of several thousand secondary school teachers loudly applauded a speaker who was struggling to support children with special education needs he was required to teach in his mainstream classroom. He was supportive of mainstreaming but frustrated at his inability to do the best for all the kids in the class without the support needed for them all to become successful learners. Increasing class sizes makes all this that much more difficult. We already have the unsavoury behaviour of some public schools discouraging enrolment of children with special needs. God forbid that that extends to classroom teachers who will see their own reputation tarnished and their income reduced through performance pay if they welcome children with special needs into their classroom. Today’s teachers are expected to be super-teachers – to take a class of 30 or so students and deliver increasingly individualised education programmes with much more emphasis on assessment and feedback to students and parents. Instead of helping and resourcing teachers to do this job the Government is making it harder. One of the ironies is that National Party government ministers seem to prefer to send their own kids to elite private schools where small classes are given priority, children with special education needs or behavioural problems are refused enrolment and rather than performance pay the teachers are paid the state school pay rates with an additional percentage. And just to make sure their kids are resourced properly the Government gave them a 22.3 per cent increase in government subsidies for 2010 with further increases since. Not so for schools in our low-income areas where student achievement is well below other areas. 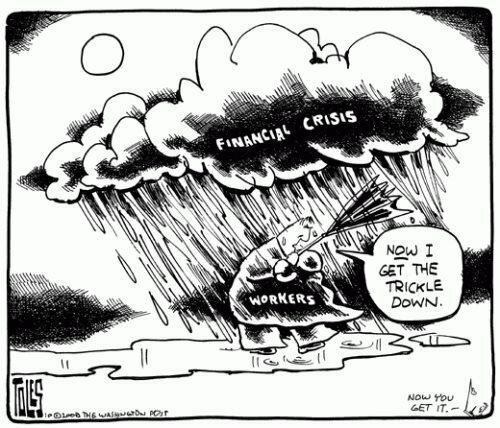 The issues here are multiple but the elephant in the room is our appalling low-wage economy where on top of 160,000 unemployed we have half a million people earning less than $16 an hour and over a hundred thousand who don’t get enough hours of work to enjoy a decent income. But despite the now frequent attacks on teachers and schools New Zealand has a good public education system which consistently ranks third or fourth in the world in international achievement comparisons. If only our athletes in London could do so well. These fine levels of educational achievement have been built by teachers and schools despite recent government policies which mimic the failed school policies from the US and UK. Let’s give our public school teachers and public schools a break and applaud them as world champions. And let’s give them the resources and support to ensure every kid is a champion learner rather than belittle them and make their job that much harder. Question 4: What about the argument that a rise in the minimum wage affects the chances of young and inexperienced workers getting into employment? During the Labour Government’s term the adult minimum wage went from $7 an hour to $12 – an increase of 71%. The youth minimum wage went from $4.20 an hour for everyone from 16-19 years old in 1998 to $9.50 in March 2005 for 18 & 19 year olds and $7.60 for 16 and 17 year olds – an increase of 126% and 81% respectively. 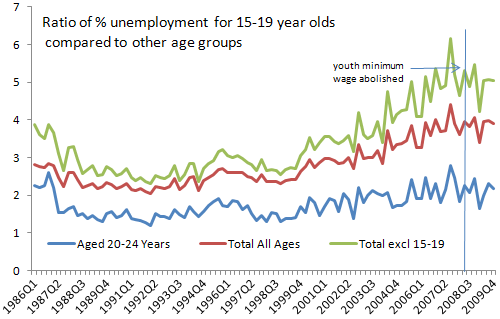 The youth rate for 16 and 17 year olds was largely abolished in 2008. Youth unemployment during that time kept falling until it reached a low of 11.8% in December 2005 – a level not seen since 1987. When Labour lost the election the youth unemployment rate of 17.9% was still below the level when they were elected 9 years before. Youth unemployment has increased significantly over the past year along with the general levels of unemployment. This is a consequence of an international recession that is a product of corporate greed not excessive workers needs. The current youth unemployment rate of around 25% is a terrible blight on our community – but the same level was reached in the recession of the early 1990s when youth rates existed and the minimum wage for adults was much lower in real terms. “15-19 unemployment is always higher than that of other age groups. Yes it has risen more than the unemployment of other age groups but it has risen in proportion with the unemployment of other age groups. If the increase was due to the abolishment of the youth minimum wage then we would expect the increase in 15-19 unemployment to be disproportionate. It hasn’t been disproportionate, in has been in proportion. Just like Maori unemployment has risen higher but in proportion with unemployment in other ethnic groups. If the Right genuinely think that abolishing youth rates increased15-19 unemployment to be consistent they have to claim it also increased Maori unemployment, or find another explanation specific to Maori, or propose a lower minimum wage for Maori, and I don’t see them doing any of that. Issue 1: How does a zero budget impact on workers and public servants, Bill English claims we all liked it, really? 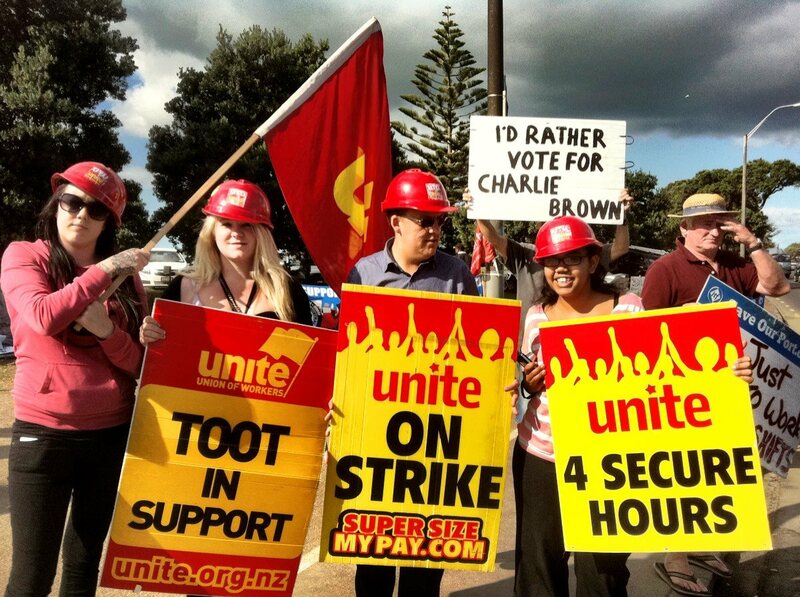 Issue 2: What will the living wage campaign do for social justice in NZ? 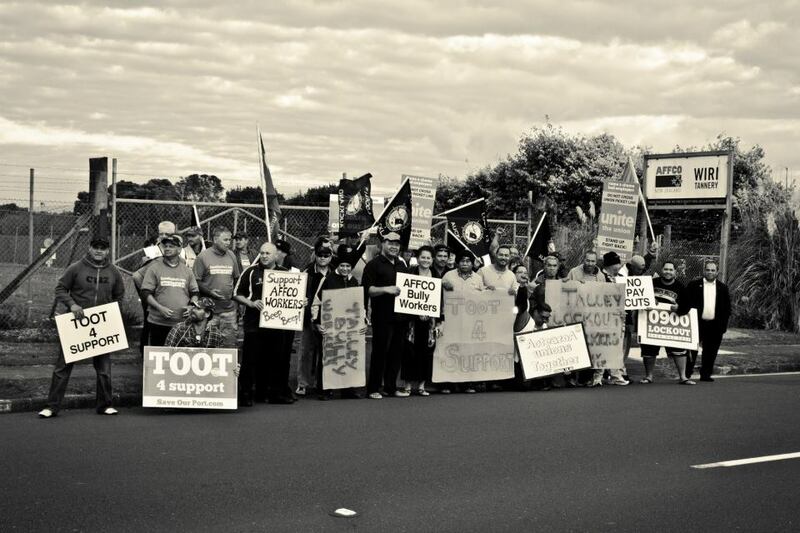 and Issue 3: How does Iwi involvement in the Affco industrial dispute change the wider dialogue for labour relations in NZ? Around 2006 I heard an observation made by someone who had worked at TVNZ concerning pay rates. His estimation of a projectionist’s skill base was worth about $25 an hour for a comparable skill set at TVNZ. 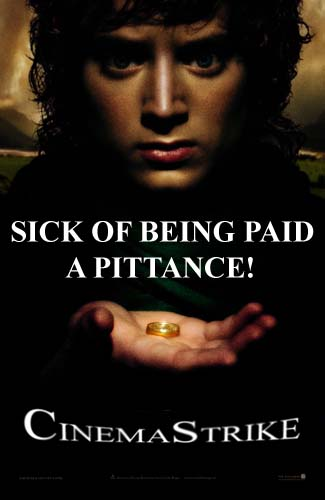 More than twice the rate that cinema projectionists earned at the time. Now, in 2012, I wonder what projectionists might gain by simply switching career and taking their skills elsewhere. These days little has changed with regards to pay rates, although some significant changes have occurred elsewhere in the cinema exhibition industry. The release of James Cameron’s Avatar in 2009 provided a catalyst for a big push in the rollout of digital cinema for one thing. New Zealand cinema chains looking for capital to upgrade to 3D capability quickly turned to Australian investors, and 2010 saw Berkeley Cinemas added to the NZ arm of Hoyts, while Event Cinemas, the other major Australian player, bought up Village Cinemas for their own stake in the New Zealand market. The plan? Both Aussie giants appeared to be aiming at two-year conversion to digital cinema in New Zealand. Apparently news of a public backlash against 3D in the United States wasn’t terribly concerning. The smarter position might have been to test the water, get 3D capable, and then string out the upgrades to take advantage of new technology as it becomes available, and descends in price. But what’s all this costing anyway? $100,000 is a conservative upgrade for one projection system. The most dominant 3D system on the market requires a silver screen, and that means a screen replacement for most venues. And the prices just go up. Before you know it cinema complexes are each looking at $1 million to update every projector, and we’re not entirely sure why because let’s face it, 2K digital cinema is no better to look at on the screen than a 35mm feature film. Which brings me back to the cinema employees. The projectionists, with a technical aptitude that other industries seem happy to pay for; the duty managers, with practised clerical and customer service skills, barely a few dollars off minimum wage; the army of cinema attendants who are on minimum wage; and the new wave of boutique cinema staff, still being offered cinema attendant pay rates when baristas elsewhere earn around $15 per hour, and chefs quite a bit more. There’s something a little lop-sided about a picture of cinema chains throwing huge sums into something that is not quite as heavily needed as we’ve been led to believe. One tends to wonder at the positions of the Australian investors. It’s fair to say that they get a return on their investment, but there is increasing evidence that some of them don’t mind bleeding New Zealand dry in the process. One of the most stark examples we’ve seen in 2012 are the wage offers from Event Cinemas for their 2012 collective agreement. The New Zealand Government decided that last year’s minimum wage of $13.00 per hour was to increase to $13.50, a factor of 3.85%. This surprised quite a few, but then considering the soaring inflation rates of last year it was not entirely unexpected. And we should anticipate a 3% increase in the minimum wage per annum anyway. Event Cinemas, on the other hand, apparently had something else in mind. Their initial offer was so poor that I’ll just call it "unmentionable" and move right along. They since relented somewhat and produced an offer that was merely "insulting". The starting rate for cinema attendants would again be minimum wage, while tiers of increased experience have been marked at 20cents per tier, or 3% and 2.2% increases respectively. Key roles further up the pay scale have been offered a 1.7% increase. A disturbing response to the minimum wage increase, to say the least. So while cinema chains scramble to invest in expensive technology, and the cost of living skyrockets, perhaps it’s time to consider the plight of the workers who keep these giant ships afloat. The cinema workers are the "fun-makers". They are the ones slaving away to ensure that patrons can buy a couple of hours of fun, and yet they’re often the ones left with very little to show for it at the end. They are however worth something, and deserve a fair deal so that they too can afford to have some disposable income, and from time to time buy their own little slice of fun. Question 3: What was the actual impact of changes to the minimum wage on employment in New Zealand over the last decade? Is there any evidence it lead to higher unemployment? Increases in the minimum wage were accompanied by growth in total employment and the percentage of the potential workforce employed. When Labour was elected in 1999 the minimum wage for someone under 20 years of age was $4.20 an hour. The adult rate was $7.00. 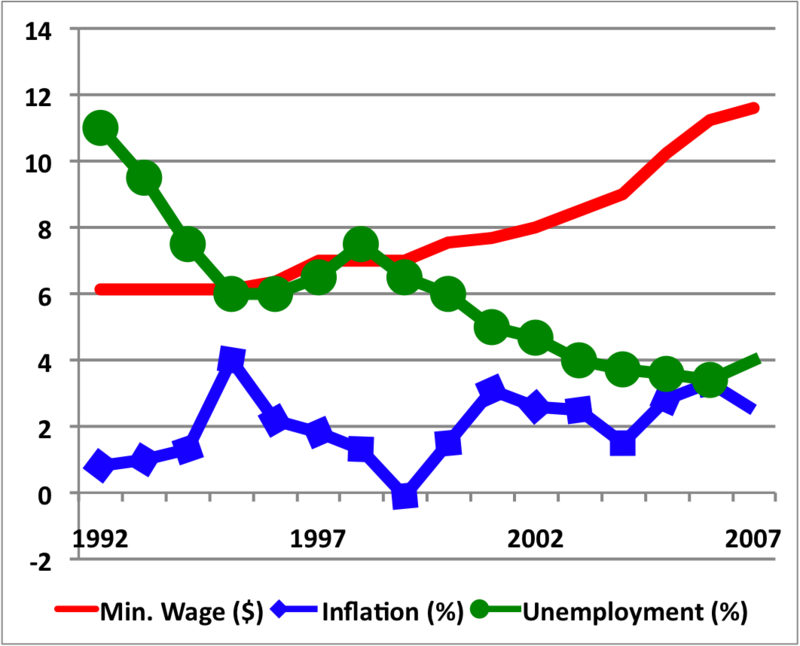 The previous National government had also believed higher minimum wages were bad for business (or at least their business mates) so had only increased it by only 87 cents an hour during their 9 years in power. 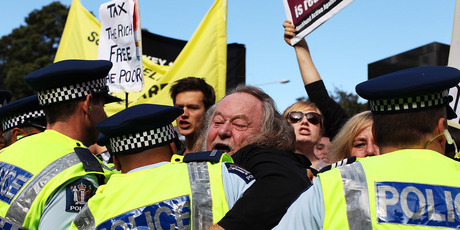 Protests erupted during John Key’s post-Budget address. By cleverly calling it the “zero” Budget, Finance Minister Bill English wanted quiet yawning acceptance from us. He succeeded. He got great back-up on Friday morning television from Prime Minister John Key, whose smooth delivery about the Government being prudent and careful with the nation’s accounts in these unpredictable times – just like “mums and dads” are doing with their household budgets – was masterful. You could almost see the heads nodding sagely in the nation’s kitchens. Labour’s David Shearer saying the Budget didn’t address challenges we face, such as support for exporters, would have gone over the heads of most viewers and his demand that Key should support raising the retirement age wouldn’t endear him to even his own supporters. Other party leaders were left sidelined, muttering that it hurt poor New Zealanders and had no job growth plan. The criticisms are all true. This is a Budget where public services will be cut, the poor will continue to be marginalised and our assets sold – and it’s all propped up by pretending our economy will grow by 3 per cent when this year it’s barely 1 per cent and we’ve never had anywhere like 3 per cent in any year since Key has been Prime Minister. But I suspect that in a couple of months we’ll remember only two things about this Budget. The tobacco industry’s customers hooked on nicotine will soon be paying $20 a day for their drug addiction, and school kids who work get their tax break closed down. Key must think we need to clobber our kids at an earlier age so they get used to the idea that life isn’t fair. It’s another hint to our kids to export themselves to Australia as soon as they can. Given the build-up to Thursday’s Budget, we knew it was going to be a nothing document. So I was more interested to see what sentence Tame Iti and his three co-defendants were going to cop. That was partly because I wrote in this column a fortnight ago that Iti was going to jail and I wanted to see if my pessimism would be vindicated. I was in Wellington at a Council of Trade Unions national meeting all day on Thursday monitoring news for the Urewera trial result and the Budget on my fancy phone. A colleague asked me what the Urewera four would get. 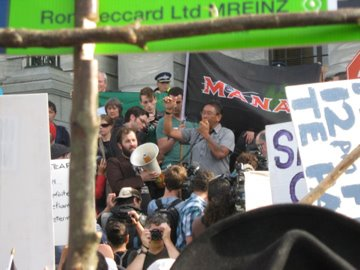 I thought about two years for Iti and Te Rangikaiwhiri Kemara and probably home detention for the two Parihaka peace activists. The full-face moku of the Tuhoe activists had made it easy for the Crown and media to frame them as scary villains. Urs Signer and Emily Bailey, on the other hand, seemed like a gentle loving couple who wouldn’t hurt a fly, so imprisonment for them was never going to happen. When the sentences, as predicted, were announced, relief and champagne would have broken out in many plush offices in Auckland and Wellington. The state got what they desperately needed. The Parihaka couple have a young child and their home detention will be a blessing. Iti and Kemara have their martyrdom. The judicial and legal fraternity will get their huge invoices paid after congratulating themselves that justice has been served, and the cops are proudly reporting they’ve saved us from terrorism and we can now sleep safely. On Thursday, we were sold a Budget that maintains and strengthens the status quo. In 2010 the richest 150 New Zealanders grew their wealth by 20 per cent while the average wage moved by less than 2 per cent. We now have a society where the wealthiest 1 per cent own more than three times the combined cash and assets of the poorest 50 per cent. And this Government’s Budget solution to increase wealth or jobs for everyone? Nothing. Oddly enough, economic development got an 8 per cent cut. If they can make Tame Iti look like bin Laden, they can make anyone who fights back a suspect. That may be why in this zero Budget they did find enough to increase the funding for the courts, corrections and cops.